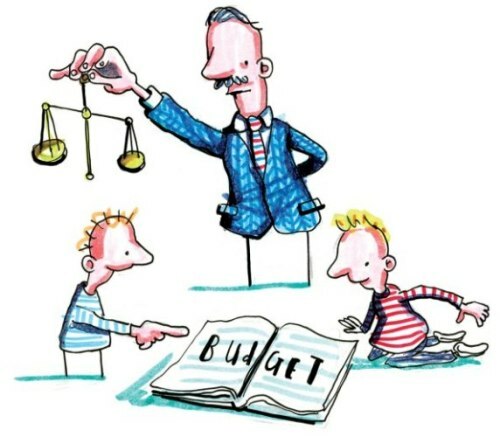 Home › SFCIC Blogs › Imagine: Could Participatory Budgeting work in Northern Ireland? As part of the Imagine Belfast festival of ideas, held in March 2016, Jez Hall led a workshop exploring whether the citizens of Belfast could really influence how money was spent by Belfast City Council. The workshop was organised by the Northern Ireland Open Government Network (NIOGN), and included a mixed audience of about 30 people, committed to imagining a better, more democratic future. On the surface it might be guessed that PB would always struggle to take off in Belfast. The unique history of Northern Ireland makes for a challenging environment for ‘normal’ representative democracy, let alone for participatory democracy. Much public expenditure is still caught up in the sensitive politics of sectarianism, with the audience at the workshop reporting that local politicians overly focus on making sure their area, or their community, doesn’t miss out. For all kinds of reasons most public money is in the hands of public agencies that have no clear democratic mandate. The same is true across the UK, but the winds of devolution is challenging this orthodoxy. Hence Greater Manchester is exploring DevoManc, with its massive transfer of budget responsibility towards local councils. In just the most simplistic terms, and focussing on Belfast, the budget of the City Council (around £150m) is dwarfed by the £1.2bn spent on health by the Belfast Health and Social Care Trust. Much of the expenditure on housing (a figure close to £70m) is not under democratic control of Belfast City Council, but in the hands of the NI Housing Executive. The Police force in Northern Ireland probably spends nearly as much in Belfast as the council. That pattern is not unique to Belfast. There is a lot of money being spent on regenerating Belfast too. This was evident in the high quality venue for the workshop, a new multi-million pound theatre and arts space. Or in the sums being put into improving the waterfront district. But once again, the complaint of participants at the workshop was that decisions on large scale capital expenditure is often taken in ways that don’t reflect the needs and aspirations of local people. Change is happening. Belfast City Council is taking on new powers and responsibilities and setting out its framework for change, called Belfast Agenda. All very encouraging. But maybe now is also the time for being brave, like Paris has been. By exploring how PB could be used to deeply democratise decision-making. Hence the involvement of the NIOGN and its partners in hosting this workshop. If the politics of Northern Ireland are going to keep improving, as they certainly have since the dark days of the Troubles, more still needs to be done to build open democracy. Trust needs to be built. Decisions scrutinised in the open. Politicians need to show they really have a vision, and have respect for all citizens. Public officials need to open up and become accountable for the budgets they control. And that is what PB is all about.